We attended the British Shooting Show 2016 with, as always, a strong Krieghoff display and a lot for people to sink their teeth into. The New K-20 Parcours was a popular attraction as countless people asked to look and feel it. Our full display of Krieghoff shotguns and rifles included every specification for people to see and handle including each of the K-80 shotguns in Sporting, Trap and Parcours. 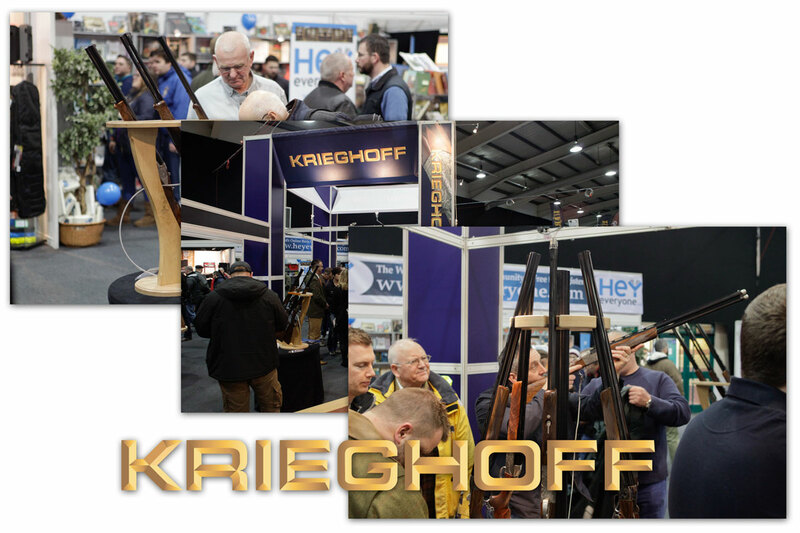 The Krieghoff Rifles were a great success also, bringing in crowds to see the fabulous Optima Drilling and the Classic 'Big Five'. If you would like any information following the Shooting Show please contact us and we'll be very happy to help. You can visit our Dealers Section to get an idea of where to see and even try a K-80. Highlights in photographs can be seen on our Krieghoff Service Facebook page. We update out news feature regularly to keep you up to date with the latest events and stories. If you have any interesting stories you would like us to know about, please send us an email with your information. This website has been designed for mobile interfaces. Navigation has been made more user friendly for mobile browsing.